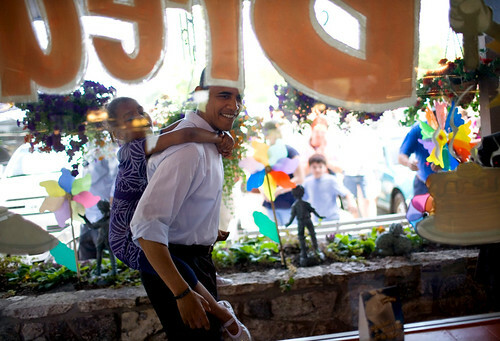 Barack Obama wanted you to have a piggy back ride and then have some ice cream. having a daddy must be nice. hmm, maybe time to tell my step-monster story now.